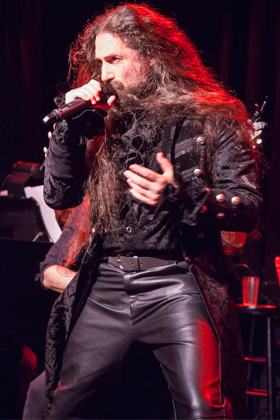 Lord Telmorn Altayon (Vocals) was born from the essence of what is: existence willed him to life. As a God among mortals he watches closely through history, walking among them, hiding deep in their unknown. Within lifetimes, Lord Altayon had painted history into his eyes only to place them into lessons. It is his mission to help guide the world ahead of him from the past he had left behind. After battling reincarnation in each mortal prison he is finally free of his humanity. Since before Altayon's incarnation, it was always the plan to take musical theatre into the progressive metal field. This project is meant to bring story and music together for an emotional performance of stage and sound. The band is a compilation of stories based on concept albums and plot lines. 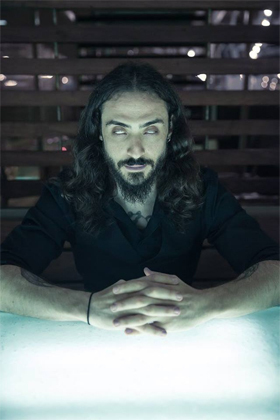 In 2007 Thomas J. Bellezza (Lord Telmorn Altayon), ended his project; TENEbRAE and decided to stop playing music live for a while. To place a finality to his musical retirement, Thomas recorded “Finally Free” with seven originals and one cover of the musical Jekyll & Hide's “Confrontation”. The album was a mixture of three TENEbRAE songs rewritten and four Altayon originals. Ten years since then he began rearranging and writing out his second heavy album “In Wind's Sway”. With four rewritten TENEbRAE songs and five original songs in the works. In between, he's been releasing a large group of random original music of his heavy stuff in an acoustic style. The “Altayon In The Raw” album is an ever growing compilation of heavy songs recorded live with acoustic guitar and vocals. JD McGibney (Guitarist) originally hails from Long Island, New York. He started his career working with bands such as "PsyKosiS", and Above the Victim, and eventually began working on his own through the project "Angels on the Battlefield". Through this project he has been able to work with a series of talented musicians in the studio, ranging from Aaron Minich of Nekrogoblikon, Frank Cascio of .49 Grain/Reign of Fear, the guitarist Carlos Rendon, and Jason Alexander Caesium. He has recently been hired to tour with Voodoo Kungfu. Over the years, since 2007, Altayon has performed at small local festivals, Club shows, and specialty events. This project is mostly a studio band always working to record new music. With all things said and done, the purpose is to have fun while changing the game a little. Always keeping to the rule to record both heavy and acoustic versions of music with the occasional performance live for special moments. 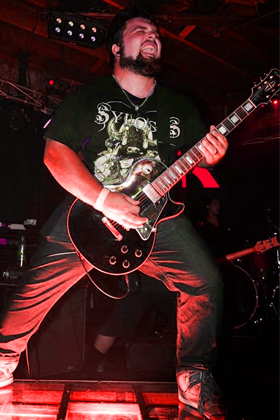 Andrew Callahan (Guitarist) plays with 'If He Dies' and is also associated with 'The Apparition (631)', both Long Island bands. He can be seen chucking away on his guitar with multiple projects from time to time. If you check out his youtube channel, he does vocal covers and will collaborate wit other musicians. Now based in Brooklyn NY, Altayon continues to write and record music, scores for local independent films, and collaborates with other musicians interested in writing / recording / and playing music together. Always searching for their next big project, the dream goal is to film videos which tell the stories of each song in theatrical exposition. Writing films around songs to act them at in the same way a Broadway Musical would be seen. Bringing together all the lovely aspects of Musical Theatre, Acting, Heavy Metal, a touch of Progressive rock, and an acoustic essence mixed with media! With a handful of musicians from around the world coming together to bring our live events to life, the following musicians on this page are always coming and going based on their availability. Altayon is more than the musicians playing together, it is a story needing to be told by performers loving the journey. Justin "Astorath" Hunt (Bass) One of the original six members of TENEbRAE, Justin is jumping on bass to finally get back on stage performing with fellow musician and friend, Lord Telmorn Altayon. In this aggressively profound project mixing acoustic metal and stage performance, he brings his energy, musicianship, and joy to any and every stage. 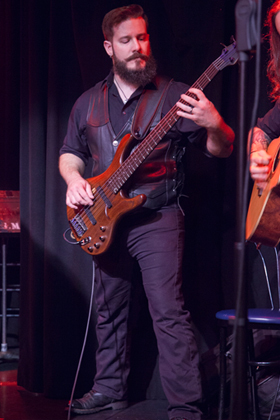 An astounding bass player and solid guitarist, the Demon Astorath continues to lend his musicianship to other projects in and around the East Coast Area. Copyright © 1997 ALTAYON - All Rights Reserved SITEMAP CONTACT US BUILT BY BBR PRODUCTIONS INC.